The Executive Board of ICSC is comprised of a small, select group of current trustees elected by the Board of Trustees. Members of the Executive Board are responsible for the governance and oversight of matters affecting ICSC’s activities. 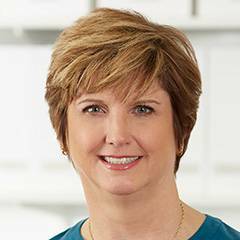 As vice president of real estate at The Container Store, Valerie Richardson is responsible for site evaluation and lease negotiation as well as store design coordination and construction for the nationwide store-expansion program. 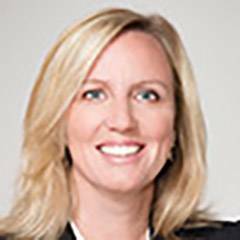 Before this, she was senior vice president of real estate and Development for Ann Taylor, Inc. She joined the ICSC trustee board in 2004. Richardson is also a member of the trustee board of Baylor-Plano Medical Center, in Plano, Texas. 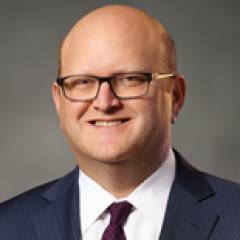 Mr. Hurwitz provides strategic, executive, and operational oversight for the portfolio companies owned by Raider Hill's clients as well as acquisition and retail advisory services for all investment activity. Prior to Raider Hill, Mr. Hurwitz held a variety of positions in the retail and real estate sectors dating back to 1986. Most recently, during a 16-year tenure at DDR Corp, Mr. Hurwitz led numerous departments beginning with leasing and development in 1999 and culminating with the responsibility of reviving the company in the post-recession era as CEO commencing in 2010. Mr. Hurwitz also served as interim CEO of Brixmor Property Group from February 2016 through May 2016. 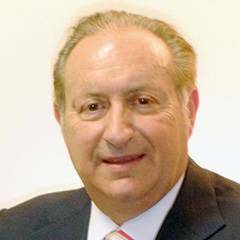 Professionally, Mr. Hurwitz is a member of the Board of Directors of Brixmor Property Group and retailer Diamonds Direct. Additionally, Mr. Hurwitz serves as an advisor to the Board of Directors of Edens and is currently Vice Chair of the International Council of Shopping Centers. Mr. Hurwitz also previously served as a member of the Board of Directors of GGP, serving as Lead Director, NAREIT Executive Board of Governors, and Governance Committee, in addition to the Board of Directors of DDR Corp., CubeSmart, Sonae Sierra Brasil, SA, and Boscov’s Department Store, Inc. He is a frequent speaker at real estate industry functions and has repeatedly been a guest discussing retail and real estate trends on CNBC, Bloomberg TV, and Fox Business. 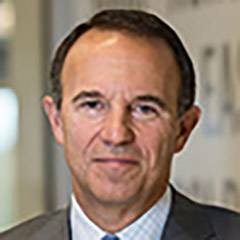 Kenneth F. Bernstein is the president and CEO of Acadia Realty Trust, which he co-founded in 1998. Acadia is a REIT that specializes in the acquisition, redevelopment and management of open-air retail properties. 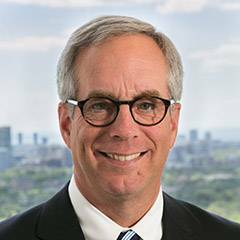 Along with his responsibilities at Acadia, Bernstein is an ICSC trustee and the association’s 2017–2018 chairman. 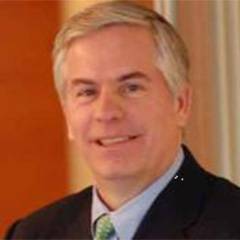 He was COO of RD Capital until its merger with Mark Centers Trust in 1998, which created Acadia Realty Trust. In addition to being a member of the World Presidents Organization, where he was founding chairman of the Real Estate Network, he currently serves on the board of advisers. He is also a member of the trustee board at Golub Capital. Andrew Brien is CEO of Suria KLCC and a management committee member at Malaysia’s KLCC Property Holdings Berhad. Before joining Suria KLCC, Brien held state and national management positions at Colgate-Palmolive, Lendlease Corp., Westfield Holdings and others. He is an active ICSC member and has pursued the growth of shopping center education in Southeast Asia. He is chairman of the ICSC Asia-Pacific Advisory Board, having served on this board while being ICSC’s Malaysia director. 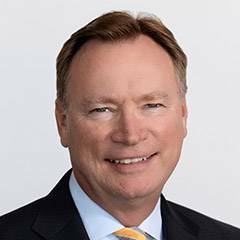 As vice president of real estate for Nordstrom, John Dolson supports the team responsible for the company’s real estate program, which includes full-line and Nordstrom Rack stores, offices and industrial space. 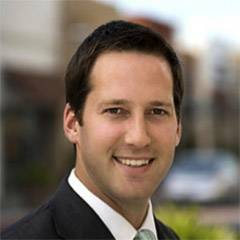 John began his career at Nordstrom in 1999 as an intern in the real estate department, and he has been regional real estate manager, real estate director and a divisional vice president of real estate at the firm. Conor Flynn was named CEO of Kimco Realty and appointed to the board in January 2016. 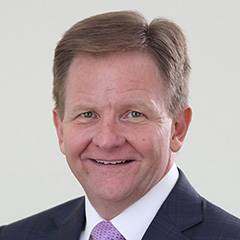 He joined Kimco in 2003 as an asset manager and has held a variety of senior leadership roles there, including president, COO, chief investment officer and president of the Western region. Besides being an ICSC trustee, he is a licensed real estate broker in California and a member of NAREIT, The Real Estate Roundtable, and the Urban Land Institute. Adam Ifshin is CEO of DLC Management Corp., which he co-founded in 1991. Through his leadership, DLC has become one of the country’s largest owner-operators of retail shopping centers and among the most active acquirers of centers with value-added potential. Ifshin is also founder and president of Delphi Commercial Properties, co-founder and president of DLC Investment Securities Corp., and co-founder of DLC UrbanCore and DLC Development. Ifshin is chairman of the ICSC Government Relations Economic Sub-Committee and was chairman of the ICSC National Deal Making. He is also an active lobbyist for the shopping center industry and has testified in Congress on behalf of ICSC and The Real Estate Roundtable on the taxation of carried interests. Ifshin is a member of the Urban Land Institute and chairman of its Commercial and Retail Development Council. Josip Kardun is CEO of Multi Corporation BV. 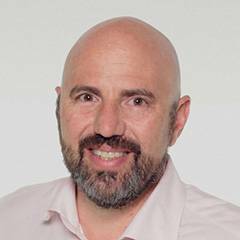 He has a long track record in the European retail sector after previous leadership roles at Atrium Group, German-owned developer ECE Projektmanagement, and Portuguese peer Sonae Sierra. From 2014-2017, Josip served as chief executive officer at Atrium Group where he gained extensive experience in international real estate development, construction and operation, and senior management. At ECE he worked for seven years in a number of senior positions, including chief investment officer and as head of the mergers & acquisitions management group. 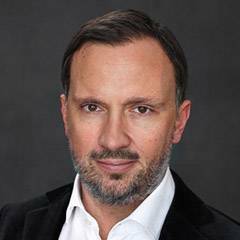 Kardun has a law degree from Goethe University in Frankfurt and sits on the executive board of ICSC Europe. 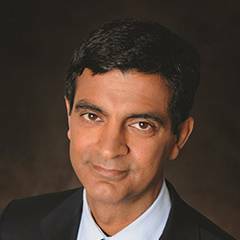 Sandeep Mathrani is CEO of Brookfield Properties Retail Group and Vice Chairman, Brookfield Properties. For nearly eight years, he served as CEO of GGP Inc. and was part of the group that recapitalized GGP in November 2010. Prior to joining GGP in 2010, Sandeep was president of retail for Vornado Realty Trust, where he oversaw the U.S. retail real estate. Before that, he spent nearly a decade as executive vice president at Forest City Ratner, responsible for their retail development and leasing in the New York City metropolitan area. Sandeep serves on the executive board and the board of trustees for the International Council of Shopping Centers (ICSC), executive board and current vice chair of NAREIT and on the board of directors of Host Hotels & Resorts, Inc.
Sandeep holds a Master of Engineering, Master of Management Science and Bachelor of Engineering from Stevens Institute of Technology in Hoboken, N.J. When Michael McCarty joined Simon in 1979, he served in management and leasing positions. As executive vice president of development, McCarty is responsible for the development programs within the regional mall platform. He is a former member of the ICSC Executive Committee and a former Indiana ICSC state director. He also serves on the boards of the Simon Youth Foundation and the ICSC Foundation. Jodie McLean leads one of the nation’s major owners, operators and developers of retail real estate. McLean is responsible for EDENS’ strategy to move the portfolio to major urban centers, creating a portfolio of assets that are the center of community life. She became chief investment officer in 1997, president in 2002 and CEO in 2015. McLean is a trustee of both ICSC and the Urban Land Institute. She serves on the Pension Real Estate Association board and on the boards of several other institutions and charities. She is a member of the Liberty Fellowship (Aspen Institute) Class of 2009. John R. Morrison is the former president and chief executive officer of Choice Properties Real Estate Investment Trust. He currently serves as vice chairman of the board of trustees and has over 40 years of experience in the commercial real estate industry with a primary focus on retail real estate. Morrison was president and chief executive officer of Primaris Real Estate Investment Trust from 2009-2013. Prior to serving in that role, he was president, real estate management, at Oxford Properties Group. He is a third-term trustee of the International Council of Shopping Centers and currently serves on the executive board. He is a director of the ICSC Foundation and chairman of the ICSC Foundation Canada. He is also former vice chairman of the Urban Land Institute Toronto District Council and is past chairman of the Ryerson University Real Estate Advisory Committee. He also serves on a number of volunteer and corporate boards including Automotive Properties Real Estate Investment Trust where he serves as lead trustee. He is also institute-certified director with the Institute of Corporate Directors. 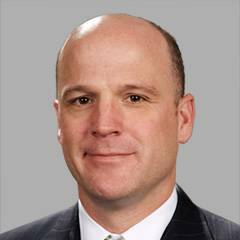 Chris Niehaus is responsible for GreenOak Real Estate’s U.S. investment and advisory business. Before joining GreenOak in 2010, Niehaus spent 28 years at Morgan Stanley. He was named a co-head of global real estate investment banking in 1994 and served as vice chairman of Morgan Stanley Real Estate from 2006 to 2010. He is on the ICSC executive board and has been a trustee for some 20 years. He is also a member of the Urban Land Institute. He serves on the President’s Leadership Council of Dartmouth College and as board chairman of Student Sponsor Partners, which provides scholarships and mentorship to 1,200 at-risk, inner-city high school students in New York City. He is also active in several other community organizations. Besides being chairman and co-founder of The Festival Cos., a leading developer-operator of retail and mixed-use properties and a full-service real estate advisory firm, Mark Schurgin is ICSC’s Western Region vice president and a board member of the ICSC Foundation. He is also a member of the Urban Land Institute. In 2008 the Schurgin Family Foundation endowed its first undergraduate scholarship with the ICSC Foundation and then did so again in 2011. Get to know the elected members of our Board of Trustees and what they do. Bylaws provide the structure around ICSC’s purpose, the responsibility of its officers and the role of the trustees. We recognize the special contributions of distinguished leaders in our organization for a lifetime of service.